The Apple WWDC 2016 event is ongoing and one of the best things that have already come out of this event is the new iOS 10. As the name suggests, this is Apple’s 10th iteration of this OS. There is no doubt that this operating system has a lot of new features and brings great improvements to what is already offered on iOS 9. There are improvements on the iMessage app, a redesigned Apple Music, QuickType AI suggestions and a new Siri SDK – things like iPhone users will definitely enjoy. However, there is one more thing that this new software brings to the fold, something that you probably have been looking forward to, especially if you love music and photography. 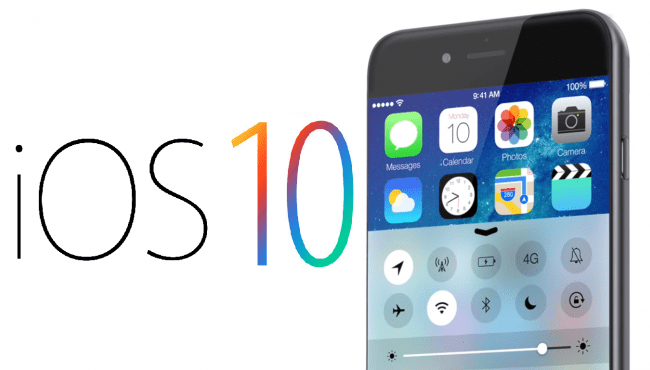 iOS 9 was released together with iPhone 6S and 6S Plus. While this OS brought with it one of the most innovative features – 3D Touch – it also came in with a very disturbing issue. When listening to music on your iPhone 6S or iPhone 6S Plus, it is not possible to keep on listening to the same tune and at the same time open the Camera app. Immediately the Camera app comes to life, music is automatically paused. This is something that has frustrated quite a number of people and surprisingly, it has only been limited to the two flagships from last year. If you are a victim of this glitch, there is some really great news for you thanks to this year’s WWDC. With the release of the new iOS 10, this glitch appears to be fixed. iOS 10 beta is out and when pushed to the iPhone 6S and 6S Plus, it appears to solve this problem with the Music app. However, according to the Cult of Mac, the same problem is still persistent with Spotify, but this can easily be taken care of by the streaming service’s engineers with the help of the iOS 10 SDK. In addition to fixing the Camera app glitch, iOS 10 also comes in with more improvements for the app. Users of this OS will now be able to quickly access the camera directly from the lock screen. All you need to do is swipe from the right edge towards the left. iPad users can also rejoice in the fact that iOS 10 brings an updated look to the control scheme of the gizmo. The iOS 10 update will be ready for downloading and installing on your iPhone or iPad later in fall. I don’t understand how 3D touch can be called “innovative” it’s been on Android for years.